What Equipment Will Amplify a Wi-Fi Signal? Will Wi-Fi Extenders Boost a Signal From an Open Wi-Fi Area? A range extender helps strengthen a weak wireless signal. When you're trying to gain Web access but the nearest Wi-Fi router or hot spot is a bit too far away from you, there are a few ways to extend and enhance the signal to your devices. One of these is with a universal Wi-Fi range extender or repeater, a small device that gets plugged into an electrical outlet near the weak edge of the network so it amplifies the signal even further. When installing a wireless network in very large homes, offices and other spaces, the signal may not be capable of reaching from the router throughout the entire area no matter where you place it. A universal Wi-Fi range extender functions by repeating -- and thus, extending -- the Wi-Fi signal from the router. Range extenders are typically configured in a matter of minutes and require very little tech savvy. Plug it in and then give it a moment to locate a wireless signal. With the aid of a device management assistant and your Web browser, you'll then configure the network settings -- identifying the correct network, for example, and entering the password. Once setup is complete, devices that had previously only received a bar or two of Wi-Fi can potentially reach full wireless signal capacity. A universal Wi-Fi range extender is not the sole solution when you're trying to extend the signal of your router. You can, for example, swap out your router's current antenna and attach a bigger, multi-directional booster antenna to extend the range a minimal distance. A powerline adapter, on the other hand, plugs into an electrical outlet and operates by sending the data signal over the building's electrical wiring. For a larger-scale solution, you can even rewire the building with Ethernet cables so direct connections are available in multiple rooms for multiple Wi-Fi routers. 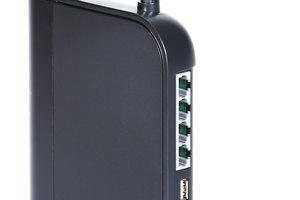 With the exception of a router antenna change -- which won't extend the signal a great deal further -- a universal Wi-Fi range extender is the least expensive signal-boosting option. Space requirements are also minimal and no shelving or furniture is needed, as extenders sit flush to the outlet and extend no more than an inch or two at most. Since a Wi-Fi extender must be plugged into an outlet that's within range of the existing router, you may have trouble extending the signal as far as you need it. Though you can solve this by purchasing an additional extender to repeat the signal further, it might be cheaper to go with another solution. 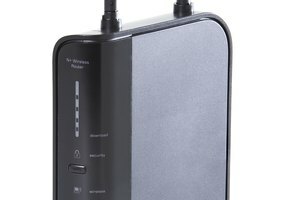 An extender also relies on a wireless signal, which tends to be prone to slower connections than Ethernet and is dampened by certain materials like metal and brick. Fernandez, Danielle. 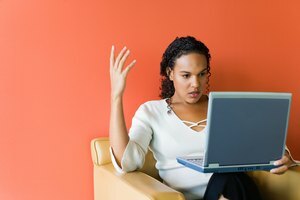 "What Is a Universal Wi-Fi Range Extender?" Synonym, https://classroom.synonym.com/universal-wifi-range-extender-18226.html. Accessed 20 April 2019.